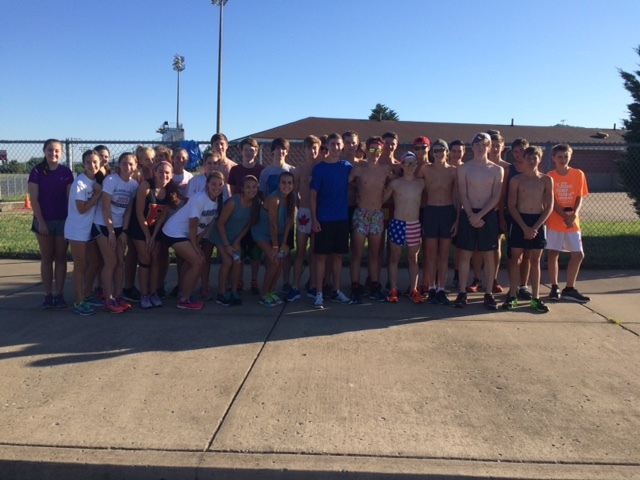 Monday, June 6th, wasn't just your average Monday; it was the beginning of: cross country conditioning, the first step in the life changing odyssey that will be the 2016 XC season! Over thirty runners enjoyed a nice relaxing run and some drills while Coach Mueller only had to send two runners home for not having a physical yet. Here's the conditioning schedule: Monday - Thursday: 7:00 a.m. at Ravenwood Friday: 7:30 a.m. at Vaughn's Creek in Percy Warner Park If you couldn't make it today, just run wherever you are and we will look forward to seeing you when you return!